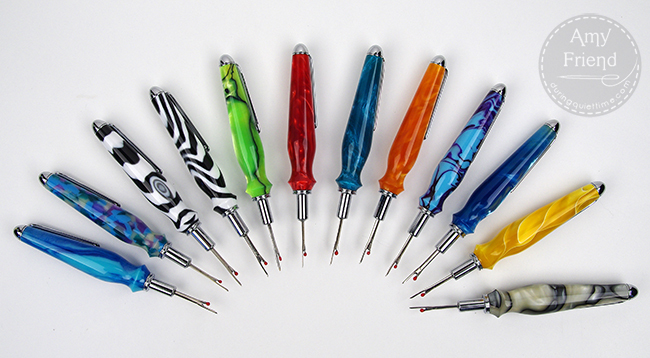 For those of you who are new to my blog, my husband makes these gorgeous, hand turned acrylic (and sometimes wood) seam rippers on his old Craftsman lathe. This is a hobby for him so he doesn’t have a lot of time to make them but every now and then, he will produce a beautiful batch like this for me to sell in my Etsy shop. Because of the demands on his time from work and family, we are no longer accepting custom orders. So, get them while they last! Mark takes a lot of pride in his work and the handles of his seam rippers are smooth as can be and polished to a high shine. 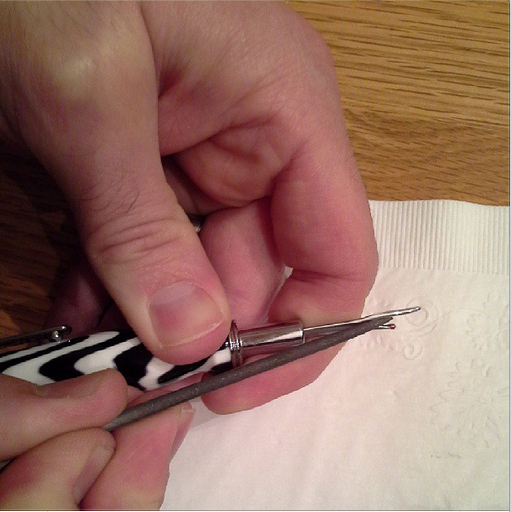 Like any tool that is used a lot, your seam ripper might need occasional sharpening so he has this tip for you. 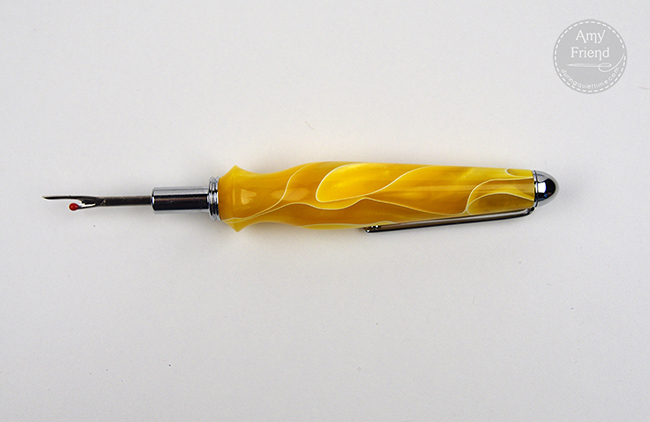 You can buy a set of fine needle files and sharpen your blade periodically. He found the set that we use on Amazon for about $7. and Blue Sky Pastel Crush. I kinda want to keep both of them but I am trying to be good! 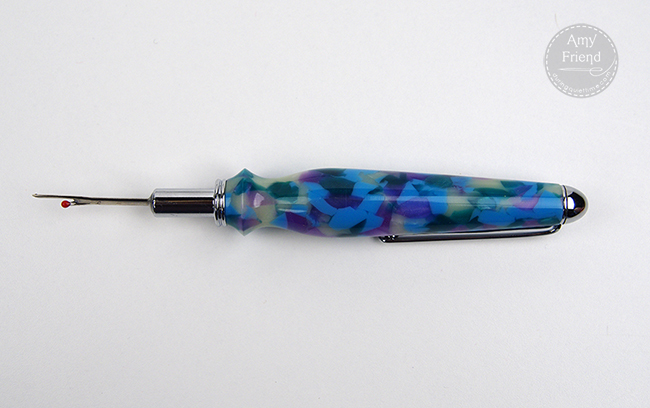 The seam rippers are available for sale now right here.